Chala Abakulu was born with a cleft lip in the Bale-Oromia region of Ethiopia. He is the fifth child of his parents who work as farmers. There was no known family history of clefts so it came as quite a surprise to his family. Luckily, a Norwegian plastic surgeon happened to meet Chala’s family in Bale while there on a mission and was able to accompany them to our cleft care centre at Yekatit 12 Hospital. 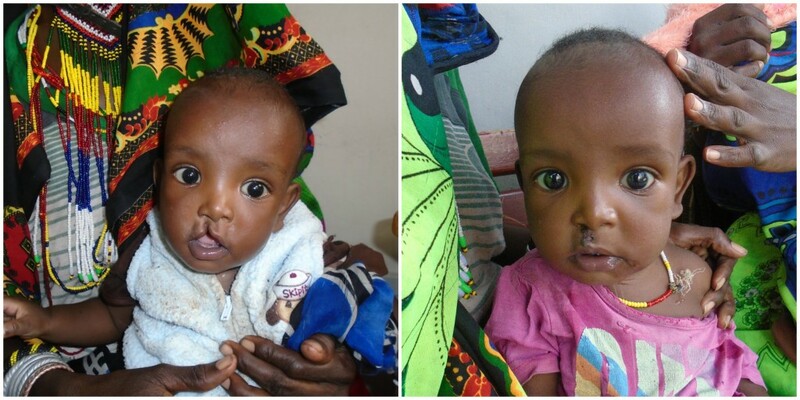 At Yekatit 12, Chala was able to have a successful cleft repair surgery shortly after his arrival at six months of age. On the day of his surgery, Chala’s mother was overjoyed that her son was able to have an operation and have the chance at a full, healthy life. Chala is one of roughly 250 patients that undergo cleft repair surgeries at Yekatit 12. Currently, the team at Yekatit 12 relies on old, outdated surgical equipment that is increasingly becoming unsafe to use. In an effort to ensure our patients receive the highest quality care, Transforming Faces has launched a fundraising campaign to cover the cost of purchasing vital new equipment. By upgrading the most essential equipment, we will be able to help ensure the continued safety and quality of Ethiopia’s only comprehensive cleft care program. As a leading teaching university for plastic and general surgery, new equipment would also enhance Yekatit 12’s capacity to train the next generation of general and reconstructive surgeons from all over the country. If you’re interested in supporting this campaign, please consider making a donation! If you have any questions about this equipment, please get in touch.